This article is about the year 1973. For the song by James Blunt, see 1973 (song). Year 1973 (MCMLXXIII) was a common year starting on Monday (link will display the full calendar) of the Gregorian calendar. January 4 – The pilot episode of the longest-running TV comedy series in the world Last of the Summer Wine is broadcast in the United Kingdom. January 7 – Mark Essex kills 8 people at the Howard Johnson's hotel in downtown New Orleans. Elvis Presley's concert in Hawaii. The first worldwide telecast by an entertainer watched by more people than watched the Apollo moon landings. Super Bowl VII: The Miami Dolphins defeat the Washington Redskins, 14–7, at the Los Angeles Memorial Coliseum, to complete the NFL's first Perfect Season in front of 90,182 fans. January 20 – U.S. President Richard Nixon is inaugurated for his second term. Former U.S. President Lyndon B. Johnson dies at his Stonewall, Texas ranch, leaving no former U.S. President living until the resignation of Richard M. Nixon in 1974. February 12 – Ohio becomes the first U.S. state to post distance in metric on signs (see Metric system in the United States). 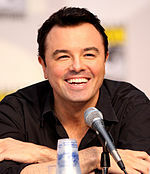 March 12 - Last episode of original "Laugh-In" airs on NBC. The show would continue with re-runs until May 14, 1973. March 21 – The Lofthouse Colliery disaster occurs in Great Britain. March 23 – Watergate scandal (United States): In a letter to Judge John Sirica, Watergate burglar James W. McCord Jr. admits that he and other defendants have been pressured to remain silent about the case. He names former Attorney General John Mitchell as 'overall boss' of the operation. April 3 – The first handheld cellular phone call is made by Martin Cooper in New York City. April 4 – The World Trade Center officially opens in New York City with a ribbon cutting ceremony. April 10 – Israeli commandos raid Beirut, assassinating 3 leaders of the Palestinian Resistance Movement. The Lebanese army's inaction brings the immediate resignation of Prime Minister Saib Salam, a Sunni Muslim. April 11 – The British House of Commons voted against restoring capital punishment by a margin of 142 votes. The Morganza Spillway on the Mississippi River is opened for the first time to prevent catastrophic flooding of New Orleans. April 20 – An Indian Pacific train en route to Perth, derails near Broken Hill, New South Wales, destroying a quarter mile of track. April 28 – Six Irishmen, including Joe Cahill, are arrested by the Irish Naval Service off County Waterford, on board a coaster carrying 5 tons of weapons destined for the Provisional Irish Republican Army. 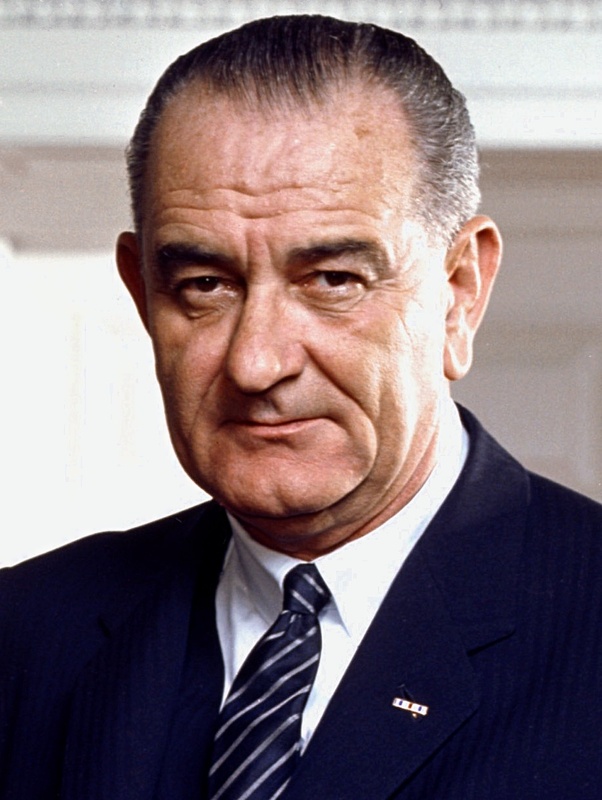 April 30 – Watergate Scandal: President Richard Nixon announces that top White House aides H.R. Haldeman, John Ehrlichman, and others have resigned. May 1 – An estimated 1,600,000 workers in the United Kingdom stop work in support of a Trade Union Congress "day of national protest and stoppage" against the Government's anti-inflation policy. 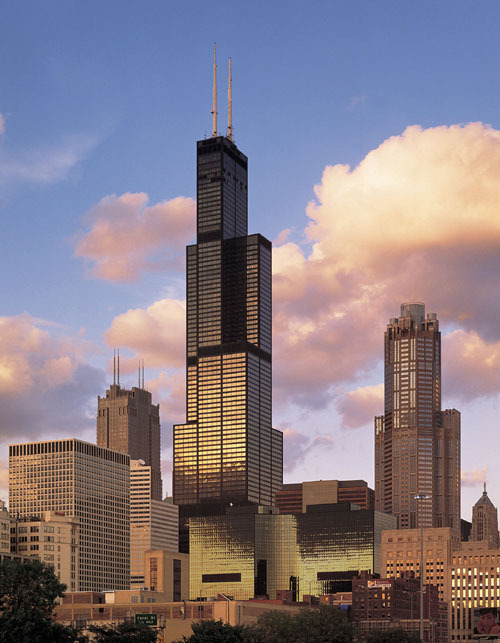 May 3 – The Sears Tower in Chicago is finished, becoming the world's tallest building at 1,451 feet. Led Zeppelin plays before 56,800 persons at Tampa Stadium (breaking the attendance record of 55,600 set by The Beatles at Shea Stadium on August 15, 1965) on the band's 1973 North American Tour. The Polisario Front, a Sahrawi movement dedicated to the independence of Western Sahara, is formed. Bobby Riggs challenged and defeated Margaret Court, the world's #1 women's player, in a nationally-televised tennis match set in Ramona, CA northeast of San Diego. Riggs won 6-2, 6-1 which led to the huge Battle of the Sexes match against Billie Jean King later in the year on September 20. May 18 – Cod War: Joseph Godber, British Minister of Agriculture, Fisheries and Food, announces that Royal Navy frigates will protect British trawlers fishing in the disputed 50-mile limit round Iceland. May 19 – Secretariat wins the Preakness Stakes. June 4 – A patent for the ATM is granted to Donald Wetzel, Tom Barnes and George Chastain. June 9 – Secretariat wins the Belmont Stakes, becoming the first Triple Crown of Thoroughbred Racing winner since 1948. June 16 – U.S. President Richard Nixon begins several talks with Soviet leader Leonid Brezhnev. June 20 – The Ezeiza massacre occurs in Buenos Aires, Argentina. Snipers shoot on left-wing Peronists, killing at least 13 and injuring more than 300. June 23 – A house fire in Kingston upon Hull, England, which kills a 6-year-old boy is passed off as an accident; it later emerges as the first of 26 fire deaths caused over the next 7 years by arsonist Peter Dinsdale. June 24 – Soviet leader Leonid Brezhnev addresses the American people on television, the first to do so. June 26 – At Plesetsk Cosmodrome, 9 persons are killed in the explosion of a Cosmos 3-M rocket. June 30 – A very long total solar eclipse occurs. During the entire 2nd millennium, only 7 total solar eclipses exceeded 7 minutes of totality. July 4 – MLB: The New York Mets fall 12½ games back in last place of the National League Eastern Division. July 10 – The Bahamas gains full independence within the Commonwealth of Nations. July 12 – 1973 National Archives Fire: A major fire destroys the entire 6th floor of the National Personnel Records Center in St. Louis, Missouri. July 21 – The Philippines receives its second Miss Universe title, with Margarita Moran as the winner. A Delta Air Lines Flight 173 DC9-31 aircraft lands short of Boston's Logan Airport runway in poor visibility, striking a sea wall about 165 feet (50 m) to the right of the runway centerline and about 3,000 feet (914 m) short. All 6 crew members and 83 passengers are killed, 1 of the passengers dying several months after the accident. August 5 – Black September members open fire at the Athens airport; 3 are killed, 55 injured. The death of Dean Corll leads to the discovery of the Houston Mass Murders: 28 boys were killed by 3 men. August 15 – The U.S. bombing of Cambodia ends, officially halting 12 years of combat activity in Southeast Asia. September 3 – The British Trade Union Congress expels 20 members for registering under the Industrial Relations Act 1971. September 11 – Chile's democratically elected government is overthrown in a military coup after serious instability. President Salvador Allende commits suicide during the coup in the presidential palace, and General Augusto Pinochet heads a U.S.-backed military junta that governs Chile for the next 16 years. September 23 – The Oakland Raiders defeat the Miami Dolphins 12-7, ending the Dolphins unbeaten streak at 18. It was the Miami Dolphins' first loss since January 16, 1972 in Super Bowl VI. September 27 – Soviet space program: Soyuz 12, the first Soviet manned flight since the Soyuz 11 tragedy in 1971, is launched. September 28 – The ITT Building in New York City is bombed in protest at ITT's alleged involvement in the September 11, 1973 coup d'état in Chile. September 30 – Yankee Stadium, known as "The House That Ruth Built", closes for a two year renovation at a cost of $160 million. The New York Yankees play all of their home games at Shea Stadium in 1974 and 1975. October 6 – Yom Kippur War: The fourth and largest Arab–Israeli conflict begins, as Egyptian and Syrian forces attack Israeli forces in the Sinai Peninsula and Golan Heights on Yom Kippur. Spiro T. Agnew resigns as Vice President of the United States and then, in federal court in Baltimore, Maryland, pleads no contest to charges of income tax evasion on $29,500 he received in 1967, while he was governor of Maryland. He is fined $10,000 and put on 3 years' probation. The New York Mets win baseball's National League pennant, defeating the heavily favored Cincinnati Reds 3 games to 2. October 14 – Students revolt in Bangkok, Thailand. October 17 – The Arab Oil Embargo against several countries which support Israel triggers the 1973 energy crisis. October 21 – The Oakland Athletics win baseball's World Series, defeating the New York Mets 4 games to 3. The United Nations recognizes the independence of Guinea-Bissau. October 30 – The Bosporus Bridge in Istanbul, Turkey is completed, connecting the continents of Europe and Asia over the Bosporus for the first time in history. November 7 – The Congress of the United States overrides President Richard M. Nixon's veto of the War Powers Resolution, which limits presidential power to wage war without congressional approval. November 14 – In the United Kingdom, The Princess Anne marries Captain Mark Phillips in Westminster Abbey (they divorce in 1992). Skylab program: NASA launches Skylab 4 (Gerald Carr, William Pogue, Edward Gibson) from Cape Canaveral, Florida on an 84-day mission. November 21 – U.S. President Richard Nixon's attorney, J. Fred Buzhardt, reveals the existence of an 18½-minute gap in one of the White House tape recordings related to Watergate. December 1 – Papua New Guinea gains self government from Australia. December 16 – O.J. Simpson of the Buffalo Bills became the first running back to rush for 2,000 yards in a pro football season. December 18 – Islamic Development Bank created as a specialized agency of the Organisation of the Islamic Conference (OIC) (effective 12 August 1974). December 20 – Spanish prime minister Luis Carrero Blanco is assassinated in Madrid by the terrorist organization ETA. The COSC The Swiss Official Chronometer testing Institute is founded in Switzerland by 5 Watch Cantons & Federation of the Swiss Watch Industry FH. Confirming the descriptions of bulkhead hull compartments for Chinese sailing ships in Zhu Yu's Pingzhou Table Talks of 1119, a large Song Dynasty trade ship of c. 1277 A.D. is dredged up from the waters near the southern coast of China that had 12 bulkhead compartment rooms in its hull. Sentosa Musical Fountain opens along side the Fountain Gardens in Sentosa, Singapore. Scott Greenall, Musician, Recording Engineer / Producer and performance artist. This page uses content from the English language Wikipedia. The original content was at 1973. The list of authors can be seen in the page history. As with this Familypedia wiki, the content of Wikipedia is available under the Creative Commons License. 25 people were married in 1973. There were 0 military battles in 1973.